If you want to make beautiful and designed ceiling renovation for Home or Office? 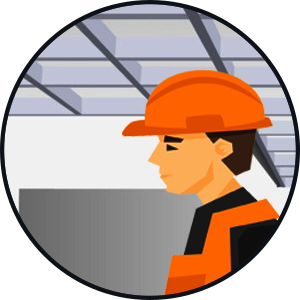 We are providing best ceiling services in Lahore. Ceiling services are done by our skilled and professional partners and servicemen. We have qualified professionals they can make new designs of ceiling renovation offices, house and can maintain them. We are providing a wide range of functional and contemporary ceiling renovation for homes, offices and all types of commercial and business places anywhere in Lahore. The Homeservicemen are ready to serve you. We charge at very cheap and competitive prices. We are also offering Electrical, Plumbing, and HVAC Services. Please see our Prices page for a full list of our service details). NOTE: For floor polishing & waxing, 50 paisas (half a rupee) per foot will be added to the price for each floor above the ground floor. Discounts are available for large floor areas. *Our Gas is guaranteed to be original USA Honeywell (This has more cooling & is better than cheap Chinese gas).